Eagle Express on Big "I" Markets offers members access to automobile and homeowners insurance through MetLife Auto & Home, Progressive, QBE and Travelers. State availability varies. 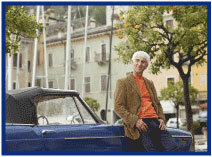 The old axiom is not to have all your eggs in one basket, but in insurance that can be reversed. Putting all coverages together may simplify paperwork when filing a claim and helps avoid the gaps that patch-work coverage can leave. Specialists for exposures more common among the affluent such as Equine, multinational liability and property, and high-end autos. Personal Excess - With more to lose this becomes a need, not a nice-to-have. Replacement Cost - Building costs are nearly recession-proof, even if housing prices aren't. Coverage for collections and the preservation expertise to identify threats to its value. Beyond coverage there is risk avoidance for boats, cyber attacks, ice inside and out, and more. Join Agents Council for Technology (ACT) for a free 30-minute cybersecurity webinar next Tuesday, December 12th at 2:00 P.M. Eastern. Bill Larson and Paul Peeples will go through critical cybersecurity issues that are facing every independent agent. This webinar will give agents a clear understanding of the risks for non-compliance and a concise overview of all applicable security regulations. Agents will learn the top cybersecurity regulations and what they can do now to best comply with each regulation. Last year, Keeper Security and Ponemon reported that more than 50 percent of small and medium-sized businesses suffered a cyberattack. Take time to learn 3 steps you should take now to make your agency cyber secure and compliant. Please note, there will be 15 minutes for Q&A immediately following the webinar. Don't forget, you have access to a cyber solution for your small business clients as well. 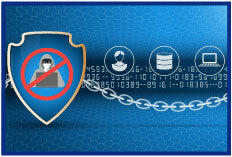 Log into www.bigimarkets.com and click on "Cyber-Small Business Solution" to learn more. 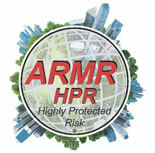 ARMR Network's newest environmental insurance program, ARMR HPRTM, is bigger than ever before! Environmental losses can happen to any commercial building, no matter the age, size, or location. As insurers apply pollution, mold, and bacteria exclusions more consistently on commercial property owners and managers' Commercial General Liability and commercial property policies, environmental policies are more important than ever before. Never sold an environmental policy to a commercial property owner or manager before? No problem! American Risk Management Resources is a world renowned environmental insurance wholesale broker and expert witness. Find out more by visiting us on the Big "I" Markets under Pollution Contractors-Farms-USTs-Other or at www.armr.net. We are very excited to announce the newest ARMR-designed program, ARMR HPR™, which will be released January 4, 2018 to every independent insurance agent across the country. This program is only available through ARMR.Net; you will not want to miss this! ARMR HPRTM is the easiest and most efficient new business production opportunity available in your commercial property owner and manager book of business. Celebrate the official ARMR HPR™ program release with a sales training virtual workshop, January 4th, 2018 at 11:00AM CST. We look forward to seeing you there. Register here! Bill Larson and Paul Peeples will go through critical cybersecurity issues that are facing every independent agent. This webinar will give agents a clear understanding of the risks for non-compliance and a concise overview of all applicable security regulations. Agents will learn the top cybersecurity regulations and what they can do now to best comply with each regulation. Last year, Keeper Security and Ponemon reported that more than 50 percent of small and medium-sized businesses suffered a cyberattack. Take time to learn 3 steps you should take now to make your agency cyber secure and compliant. Please note, there will be 15 minutes for Q&A immediately following the webinar. 1. Luxury real estate developer Nile Niami is building what could be the most expensive home in the U.S. at $500 million. Where is it located? 2. 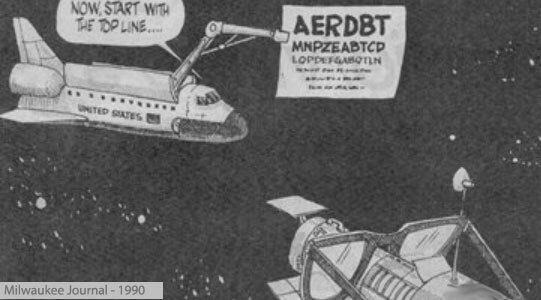 Mocked by this cartoon, NASA began repairing what on this date in 1993? 3. What are the four listed contagions covered listed on the http://armr.net/HPR website? TB - On Black Friday (Nov 24) a drunken burglary suspect was found curled up next to an empty and broken bottle of bourbon in a Florida liquor store. What was unusual about the suspect? Congratulations to our agent in New Jersey on an Affluent Homeowners sale of $26,659 in premium!